Sydney Harbour Luxe Charters provides exclusive luxury boat accommodation on Sydney harbour. A night on the picturesque Sydney Harbour is an essential experience for all traveling from near or far. Sydney Harbour Luxe Charters offers a wide variety of vessels that boast luxurious overnight accommodation. Why stay in a Sydney harbourside hotel when you have the option of staying on board Sydney Harbour itself! 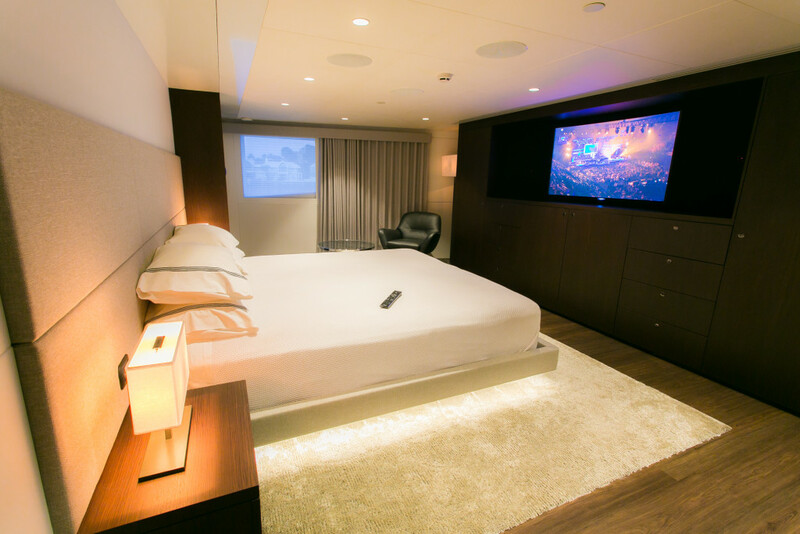 For your on water accommodation, our high-end vessels are professionally crewed with 24/7 room service.There is no other way to experience the harbour in a more luxurious way. Our vessels boast staterooms that include king sized beds complete with en suites leaving you and your special guests in complete privacy & complete luxury on board Sydney Harbour. THE LENGTH OF STAY IS UP TO YOU! Just like a hotel, with on water luxury boat accommodation there is no limit to how many nights you can stay on board and we are able to create an itinerary to suit your individual requirements.Our personalized charter itineraries will give you the flexibility to visit specific destinations and to enjoy your personal interests which may include; diving, snorkeling, photography, fishing or just relaxing on board our world class vessels. You will have complete exclusivity of your chosen vessel and premium privacy. Live-aboard charters are perfect to mark any special occasions, birthday, anniversary or even a wedding. If you’re looking to give your international guests the full Sydney Harbour experience look no further than our luxury boat accommodation. Our premium service along with our premium boats for hire will ensure that all your needs are met whilst staying on board, with full time crew & personal chefs.